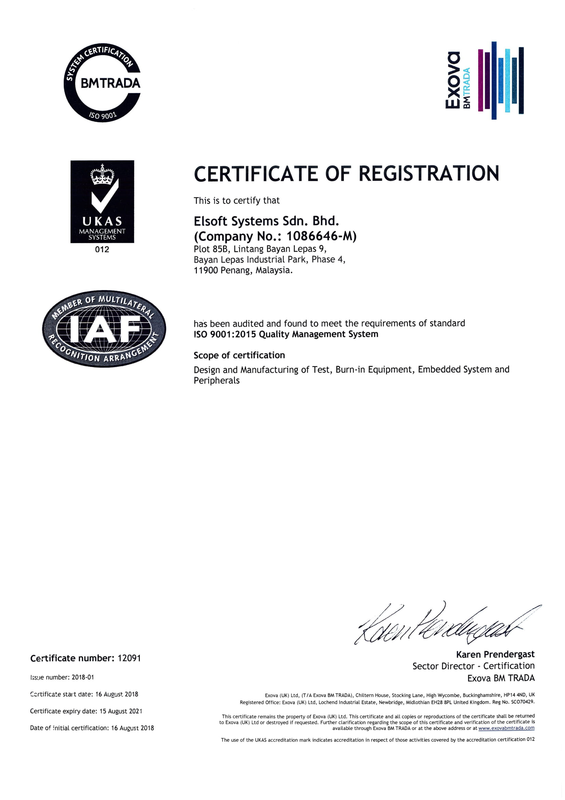 On 16 August 2018, Elsoft Systems is awarded the certification of standard ISO 9001:2015 Quality Management System. The certification is valid from 16 August 2018 until 15 August 2021. Elsoft Systems is committed to achieve outstanding performance and deliver superior quality products that meet our customer’s expectation as well as the needs of all applicable interested parties. We believe employee’s commitment and teamwork is key towards achieving excellence in quality through continuous improvement.